For decades, Tunisian Islamists, like their brethren in the rest of the Arab world, have preached an economic, social, and educational policy rooted in religious ethics. They taught that adhering to the ideals of Islam would ensure economic and social prosperity. For them, giving up on religious values for economic gains is the foremost cause of Muslims’ backwardness. They reasoned that embracing political expediency over religious righteousness is a betrayal of Muslims’ faith in God’s providence. 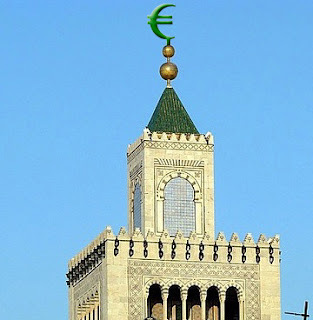 As a banned political party, Ennahda (and its predecessor Islamic Trend) ideologues had argued for the existence of an indigenous Islamic worldview that people must follow in order to succeed today and in the hereafter. In their mind, the two worlds were linked. They opposed the regimes of Bourguiba and Ben Ali based on these principles. They promised that an Islamist government would not sacrifice religious ideals for economic gains, but it would accomplish progress through and because of Islamic ideals. In other words, Islamists looked to the heavens to solve problems of earth. Some leaders of this Islamist movement and many of its supporters were imprisoned, tortured, and exiled for their views. The movement was in disarray until the historical revolution offered it a second life—a revolution that they did not plan and certainly did not start. Non-religious individuals and groups ignited and then realized the Tunisian revolution. Mohamed Elbouazizi, who was not a religious man and whose act of self-immolation was condemned by many religious authorities, is the iconic figure of the Tunisian uprising that started the Arab Spring. But when the dust settled and the first elections were held across Tunisia, Islamists and their allies took the biggest share of the votes—not the likes of Elbouazizi. Although more than 58% of the voters did not endorse Ennahda, leaders of the Islamist party have acted as if they had an absolute public mandate to govern. Using the institution of the Constituency Assembly, the leaders of Ennahda cobbled together a coalition government headed by a former political prisoner and a historical figure of the Islamist movement. Members of Ennahda controlled the main ministries, including foreign affairs and interior. The first decisions of the government show the speed with which religious idealism gave way to practical realism. One such decision is Prime Minister Hammadi Jebali’s first state visit to Saudi Arabia: a good example of decisive, even cynical, realism. Saudi Arabia is a wealthy clan-ruled Arab state in the Gulf region. Despite the geographical distance, it has and could influence life in Tunisia in many ways. First, the Saudi rulers offered sanctuary to the Tunisian dictator, Zine El Abidine Ben Ali, who has been formally accused of ordering the killing of protesters and stealing public funds. Saudi Arabia could use Ben Ali’s presence on its soil to support loyalists who could destabilize Tunisia. Saudi Arabia so far ignored requests (we are not sure if they were official) to hand him over. The Saudis claimed that they extended him asylum because it is a religious exigency and a cultural ethos for them to protect anyone seeking sanctuary. But there are no guarantees that they would not leverage his presence to meddle in the affairs of a struggling country. Second, Saudi individuals and organizations are primary sponsors of Salafi groups. They provide them with moral and material support. The Saudi authorities would not shy away from using those groups to exert influence in Tunisian affairs. The presence of the Salafis and the role they could play was displayed by recent events. An armed group was discovered in the southern province of Sfax this month. The interior ministry reported on February 2, 2012, that Tunisian security forces captured one member of the armed group and killed the two others. Mohammed al-Tunsi, a National Guard official, told reporters that “the three gunmen appeared to be Salafis, ultra-conservative Islamists.” On February 4, Mouncef Ben Salim, minister of higher education and member of Ennahda, accused an unnamed foreign country of “pumping large sums of money to destabilize the country." In addition to armed activities, Salafis have held frequent demonstrations and sit-ins demanding the adoption of shari`ah laws into the new constitution. They blocked entrances to universities demanding segregation of the sexes. And in some isolated towns, they attempted to establish autonomous emirates governed only by their version of Islamic law. They have invited a number of Salafi preachers from Saudi Arabia and Egypt for public programs that promoted Salafi theology and teachings. One such preacher promoted female circumcision, prompting the Health Ministry (run by a member of Ennahda) to issue a statement condemning the practice and describing it as non-Islamic and a risk to women’s health. Third, Saudi individuals and the government have invested considerable amounts of money in Tunisia during the reign of Ben Ali. That stream of investment dried up after the revolution. The new political leaders want not only to restart the old projects, but also to seek new investors to jumpstart an economy gravely affected by the revolution and mismanagement by the previous regime. For Saudi companies or individuals to invest in Tunisia, the Saudi rulers must authorize those investments. For that to happen, the Tunisian leadership must realign itself with the political agenda of the Saudi rulers in order to secure this economic support. Hosting an anti-Assad meeting on Syria, as is scheduled for this Friday, is a step in that direction. Indeed, when Jebali landed in Saudi Arabia, he left the movement’s idealism behind. He did not ask the Saudi authorities to hand the former dictator over to face justice. He did not ask the Saudis to pressure its theologians to condemn the terror and extremism practiced by Salafis. And he did not place the dignity of Tunisians above acquiring Saudi handouts. He simply sidestepped all these critical issues to focus on what would encourage Saudi businessmen and Saudi banks to invest in his country again. In an interview with journalists before leaving the Kingdom, Jebali assured the Saudis that Tunisians are not interested in exporting their revolution or interfering in the affairs of other countries. He made this claim just three days before his country was scheduled to host an international conference to “exert more pressure on the Syrian regime.” More accurately, Jebali should have said that his country is not interested in interfering in the affairs of rich States of Gulf. In four days, the Islamist leader has proved what I have argued long before religious parties rose to power: Islamists in power could be more successful in ending religious absolutism. They can make organized religion more about social control and group interests and less about theological idealism. In fact, the most significant achievement of the ruling Islamist parties is relativizing the religious discourse. Existing in the margins and oppressed by the secular elite, Islamists were idealized as a homogenous political entity with a singular worldview about social, economic, and theological matters. Western thinkers and politicians saw a single shade of Islamism. Even some popular Islamist leaders saw themselves as the exclusive expression of political Islam. 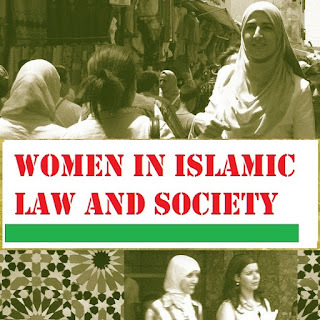 The Tunisian and Egyptian elections, however, have unveiled the profuse diversity within Islamism. The Muslim Brethren now face formidable competition from at least three other Islamist groups including al-Nur Party which won over 24% of the votes. In Tunisia, Ennahda is under constant pressure by Salafis and al-Tahrir Party Islamists who did not field their own candidates in the October 23 elections. In Morocco, the Islamist party (Justice and Development) won decisive number of seats in the recent parliamentarian elections but remains challenged by the more popular Islamist movement, al-Adl wa-‘l-Ihsan, that shunned elections under the watch of a monarch. Should these countries embrace electoral processes to establish shared political power, Islamists are likely to break further into smaller political parties along theological, political, and social interests. Regional and international alliances could contribute to the even further fragmentation of Islamic parties. The Syrian uprising, for instance, is believed to be splitting Hamas and Islamic Jihad. Some among the leaders of Hamas would prefer to preserve their alliance with Syrian and Iran. Others want to join the Qatari and Saudi axes. Despite the short term instability that will accompany the Arab revolutions, the future of the Arab world is promising. Excluding Islamists deprived the peoples of the region of the extraordinary opportunities to develop their societies, preserve human dignity, and take pride in belonging. Their rise to power is moderating their views and teaching them a lesson in humility and realism. The emergence of different Islamist parties is a path towards innovation and reform in modern Islamic thought and practice. The new spread of elections endorses the universal idea that, in political matters, people are the only true sovereign, and should have the opportunity to choose their public servants through fair and transparent elections.